This Atlanta health insurance company review features the Atlanta Life Insurance Company based in Georgia. 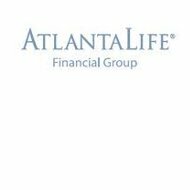 More than just a life insurance company, Atlanta Life has historical significance important to the heritage of America. Mr. Alonso Herndon, a former slave with entrepreneurial ambitions, founded it in 1905. By 1927, Mr. Herndon had become the wealthiest African-American businessman in all of Atlanta. You can compare health insurance quotes online by entering your zip code into our free search tool below. As Atlanta Life began to grow and prosper, it did so at an amazingly quick rate. In just four short years, the company was covering more than 23,000 individuals in Georgia. The company’s growth has continued to the extent that it is the largest African American stock insurance company in America today. Between itself and sister company Atlanta Life General, they provide more than three dozen insurance products to individual and commercial customers in 17 states. Atlantic Life Insurance Company is primarily a reinsurance provider to other insurance carriers. In case you are unfamiliar with reinsurance, it is, more or less, insurance coverage for insurance companies. As a reinsurance provider, Atlanta Life provides extra coverage for insurance companies in case they are unable to meet obligations due to catastrophic disaster or excessive claims. As for Atlanta Life General, their offerings are much broader in scope. Unfortunately, the one type of insurance they do not carry is health insurance. If health insurance is specifically what you need you are advised to look for other potential carriers. It does not appear that the company has any other offices to speak of despite the fact that they are active in so many states. If they do have other offices, we were not able to locate their addresses. It also appears that they utilize a direct-to-customer model of sales and service rather than utilizing local, independent agents. This cannot be confirmed because the company’s website is very sparse in the amount of information made available. In order to receive a quote from Atlanta Life for personal or business products you would need to contact Atlanta Life General using the information provided above. Quotes will depend on whether you are a commercial for individual customer, the type of policy you are after, and the rules and regulations in your state. A typical quote process involves an agent or representative asking specific questions and then returning a number. Once the information you provided is verified your final cost may go up or down. Unlike some insurance providers, Atlanta Life does not offer a quote tool on their website. Auto and health insurance companies often utilize such quote tools as a quick way to encourage customers to shop with them. Because Atlanta Life has such a long and varied product list, offering an accurate quote tool would probably be difficult to say the least. When calling for a quote the company provides a toll-free number outside of Georgia as well as a local number for the Atlanta area. Once again, due to the extensive nature of Atlanta Life’s business they do not provide a way to file a claim online. Your policy documents will contain the appropriate telephone numbers and contact information as well as instructions to begin the claims process. You will begin by contacting Atlanta Life as soon as possible after an incident occurs. The company recommends policyholders contact them even if they believe an incidence is too minor in which to worry. A special concern that comes with claims is workers compensation. States administer workers compensation insurance in a different ways, and it is often a very complicated and time-consuming process. Atlanta Life provides claims specialists that will help guide you through the workers compensation process. As previously mentioned, customers are urged to contact Atlanta Life regardless of how minor they believe an incident is. Finding affordable health insurance rates online is as simple as entering your zip code below.